We use public records as a routine part of our reporting process, and they’ve played a large role in many of our stories. Journalists are criticized today for any number of things. They’re biased and even evil. They invent stories and propagate fake news, an allegation, by the way, that’s as dangerous as it is wrongheaded and ridiculous. That’s not what good journalists do. Period. Good journalists are vital purveyors of information and are indispensable in protecting the Constitution, our freedoms, and our way of life. It’s called the Fourth Estate for many reasons. The fall of local newspapers, basically because they have failed to effectively monetize the internet, is particularly troubling. Weak reporting and ineffective oversight of government’s machinations allow local boards and their members to rule with impunity, and that’s a problem. It’s also why laws governing open records and open meetings are so important, a conviction remembered each year through Sunshine Week, a nationwide celebration of access to public information and what that means for people and their communities. Through public records, people — everyone, including journalists — can access myriad information — about, for example, contracts, salaries, campaign finances, emails, and real estate holdings. Without those records many stories won’t be told, and much corruption will never be exposed. We use public records as a routine part of our reporting process, and they’ve played a large role in many of our stories. For instance, a review of flight records from the Beverly Perdue campaign submitted to the State Board of Elections helped Carolina Journal show several problems with the then-governor’s use of private aircraft. People associated with the campaign pleaded guilty to campaign finance violations. In another example, public records helped CJ show U.S. Sen. Kay Hagan’s husband received a federal stimulus grant to install solar panels on a building he owned. The installation was done by a company owned by Hagan’s son. A ferry service to transport about 40 schoolchildren from the Outer Banks to the mainland was shrouded in corruption. Although proponents of the ferry said schoolchildren needed it for transportation, documents suggested the service was also intended to transport resort workers and tourists. In May 2003, former N. C. Department of Transportation Ferry Division Director Jerry Gaskill did a study and submitted it to the General Assembly. The proposed route would have been about 12 miles across the shallow Currituck Sound from the Currituck community to the Corolla community. But Gaskill failed to address two previous unsuccessful attempts by Currituck County to obtain a dredging permit for the shallow Corolla location. State and federal environmental agencies had ruled the area was a sensitive marine habitat that needed to be protected. In May 2004, Ferry Division workers used workboats to “prop wash” a channel in an area designated an essential marine habitat. When news reports about the incident surfaced, Gaskill and other Ferry Division officials said the damage done to the sound was accidental, but an investigation showed otherwise. Charges were ultimately filed against Gaskill and other NCDOT employees. A 49-person, 50-foot pontoon boat ordered for the service was delivered in August 2004 but was never used. In July 26, 2007, Dolly Parton’s brother Randy performed his first public show at the Roanoke Rapids theater that would bear his name. Parton had a contract to perform at the 35,000-square foot, 1,500-seat facility, as well as to manage it. The first shows were well-attended, but the number of empty seats grew steadily over the next few months. On Dec. 6, just as Parton was getting ready to take the stage, city officials determined he was under the influence of alcohol and sent him home. He never performed at the theater again. Parton invested none of his own money, the city borrowed $21 million, and state agencies added about $6 million to launch the project. Before the theater opened, CJ documented questionable feasibility studies, unrealistic economic impact forecasts, conflicts of interest, lack of transparency, reckless spending, a marketing campaign that was never funded, and Parton’s lack of management experience. CJ later reported poor attendance after the theater opened and provided an on-the-scene report the night city officials sent Parton home. Public real estate records led to a story that indicated Gov. Mike Easley got a deal on a waterfront lot in Carteret County. 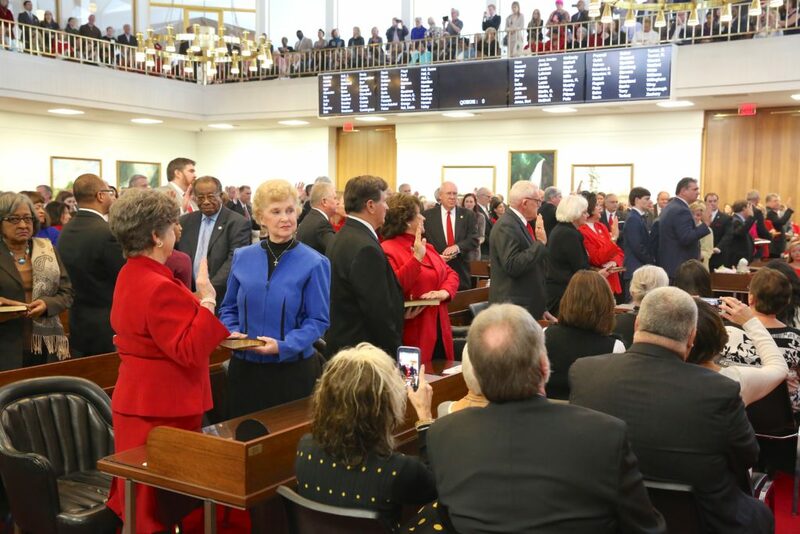 State and federal prosecutors acknowledged to Carolina Journal that their decision to open a corruption investigation often stems from a news story suggesting improper behavior or criminality by public officials. Easley’s deal, in fact, was better than first reported.“The case [against former Gov. Mike Easley] began after credible allegations of misconduct were presented in the news media,” U.S. Attorney George Holding told CJ. “Without investigative journalists here in the capital, much misconduct would not have come to light.”Holding said the federal probe of Easley officially began in February 2009. Easley pleaded guilty to a charge involving an unreported campaign flight provided by the man who also arranged the real estate purchase. Easley became the first governor in North Carolina history convicted of a felony connected to his conduct in public office. Public records are indeed just that — public and available to all. It’s up to all of us to remain vigilant in promoting transparency and accountability among government and public officials. Carolina Journal certainly will.